Lizzy Harbison is an Oral Health Therapist at Advanced Dental Centre and says one of the most rewarding parts of her work is seeing the progress patients make with their own dental care. “On the hygiene side of things, when you help patients manage dental issues and begin to see improvements because they are taking on board everything you’re saying and playing their part, that’s really rewarding,” Lizzy says. She also gains a lot of satisfaction from seeing young patients being comfortable at the dentist. “Sometimes kids will come in and they’re excited to tell you how much better they’ve been doing with their brushing, because you’ve demonstrated it well enough and motivated them to brush properly,” Lizzy says. On weekends Lizzy likes to relax with surfing or yoga. For Oral Health Therapist Kate Spicer, working with patients from childhood through to adulthood makes for a fulfilling career. 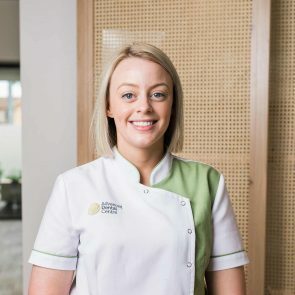 “We provide preventative dental treatment and services, and I’m qualified as a hygienist as well, so we can provide dental care for a patient’s whole lifespan,” Kate says. Working with children is often about trying to foster positive dental habits in the early years and parents play a vital part in that. “Parents are always involved in the appointments; we need to work together to find solutions if there is a problem,” Kate says. 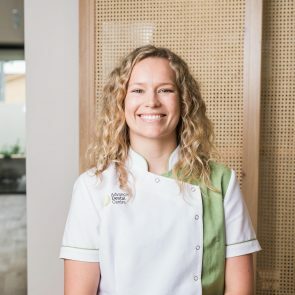 Kate has a Bachelor of Oral Health from The University of Adelaide and spent the year following graduation working with the South Australian Dental Service, a role she enjoyed. Outside of work, Kate tries to spend time outdoors including hiking in the Adelaide Hills where she grew up. 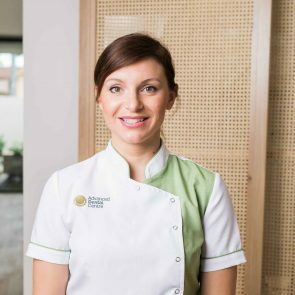 Oral Health Therapist, Malvina Filip completed her Bachelor of Oral Health at Adelaide University in 2007 and spent a year honing her skills in the Clare Valley before joining the team at Advanced Dental Centre. The ability to work with children sparked Malvina`s interest in Dental Therapy when she was still in high school. Having completed her Bachelor`s Degree and Honours in Oral Health Therapy, Malvina has successfully made it into the Bachelor of Dental Surgery program at the University of Adelaide. A keen Zumba fan, Malvina says she quickly felt at home at Advanced Dental Centre. Kim Barbetti is a busy person. While she’s already a qualified Oral Health Therapist, she’s also studying a Bachelor of Dental Surgery at The University of Adelaide. Originally from rural Victoria, Kim has lived and worked as an Oral Health Therapist in Queensland, in both the private and public sector. “I love Adelaide and will settle here,” she says. Kim has a focus on caring for people which has fuelled her enthusiasm for dentistry. “With hygiene work you usually see your patients every six months – sometimes every three months – and so you’re really developing a relationship with patients as you see the health of their teeth improve, and the effort they are putting in,” Kim says. 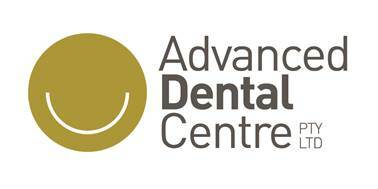 Kim said it is wonderful working with the Advanced Dental Centre team: “the team makes it such a positive experience, with everyone working together”. Robyn graduated from The University of Adelaide in 2009 with a Bachelor’s Degree in Oral Health Therapy. 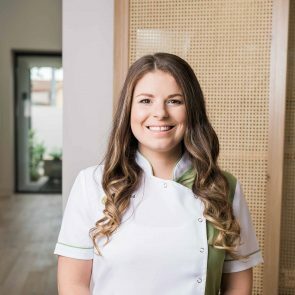 She worked privately and with the South Australian Dental Service before joining the Advanced Dental Centre team in 2013 and has since been an integral part on the team. After a number of years in the dental industry, Robyn Pavy knows exactly how to make children feel welcome and comfortable at the dentist. Robyn currently works part-time as an Oral Health Therapist and is also a full-time Mum to her two beautiful boys, James and Alistair. “My biggest passion is working with kids and getting them involved and on the right track to great oral hygiene,” the mum of two says. Robyn thoroughly enjoys her roles in both therapy and hygiene and strongly believes prevention is superior to cure. Robyn believes early childhood intervention and education is paramount for optimal lifelong oral health.